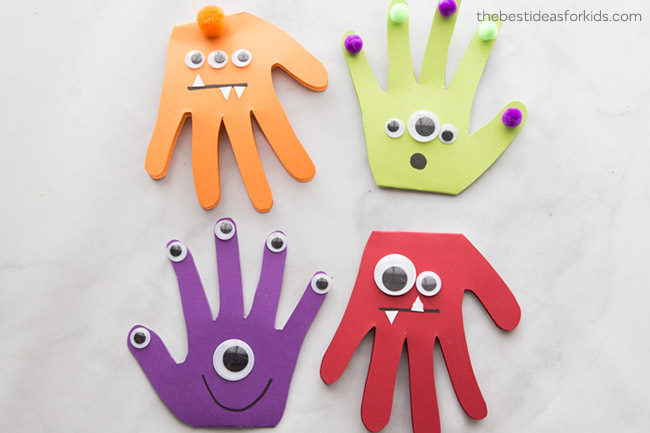 If you love how cute monsters can be or if you love calling your kids your monsters – then this easy Monster Handprint craft will be a big hit! 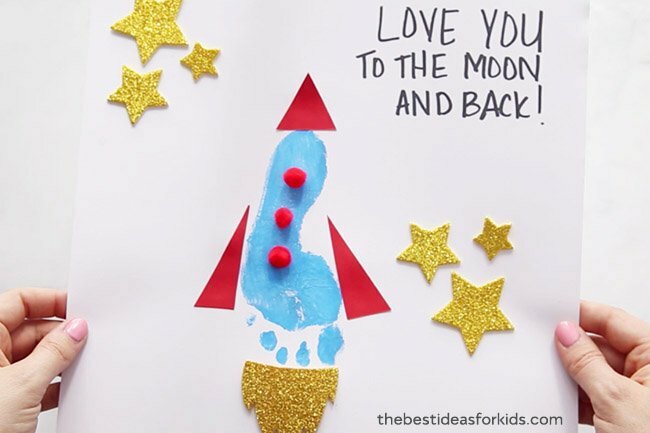 We turned these handprints into cards so you can use them for Father’s Day, a birthday card or even just make them as a fun Halloween craft. We can’t decide which monster handprint card is our favorite – but it’s probably the red one. The orange one is a close second. We just love how fun their googly eyes are. And the possibilities are endless with this craft. You can choose different colors, different size eyes and pom poms too! 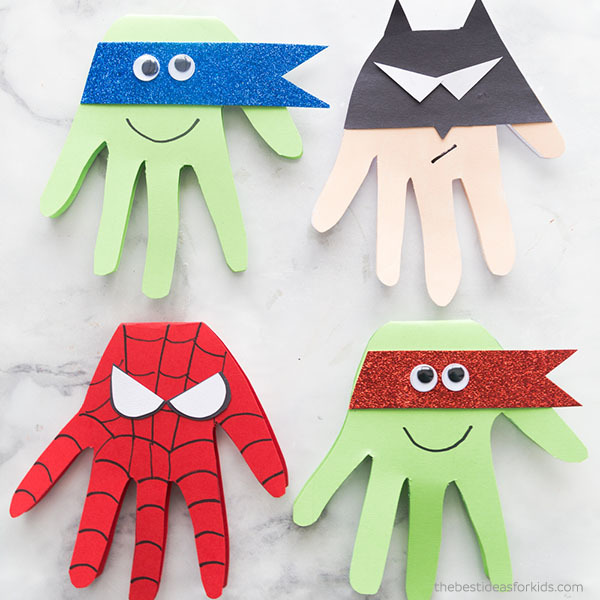 Your little monster will love making these! 1. 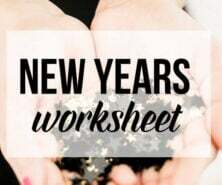 First fold your cardstock in half. 2. 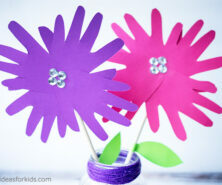 To make these cards, trace your handprint with the wrist portion over your folded cardstock. 3. 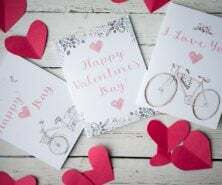 Cut out your handprint and be sure to round the top part of the card when cutting out. 4. 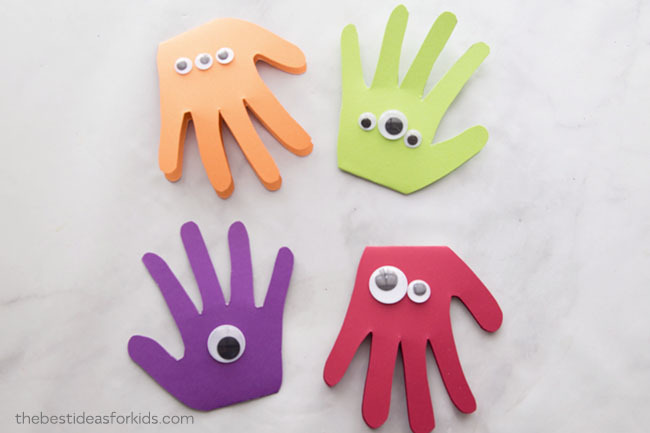 Once you have your handprint cut out, you can add different sizes of googly eyes. We made some of the cards with the fingers pointing up and some pointing down. Either way the monsters will look like monsters! 5. Then draw on your mouth and add some extra monster decoration with a few pom poms and more googly eyes! For the orange monster we added a large pom pom to the top of the card and drew a straight line. 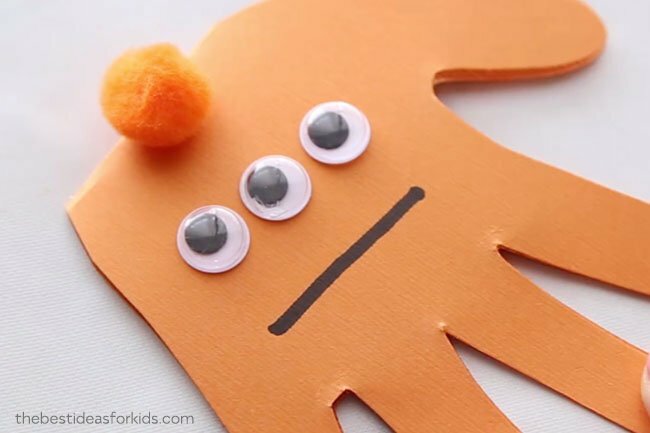 Tip: We like to use this glue for gluing on pom poms and googly eyes which can be tricky to stay on. For the purple monster we made a smiley face and added an eye to each finger. For the green monster we added pom poms to each finger and made a circle mouth. For the red monster we also made a straight mouth. 6. To add teeth to the orange and red monster, just cut out little small white triangles and glue them on. 7. Write your message inside. 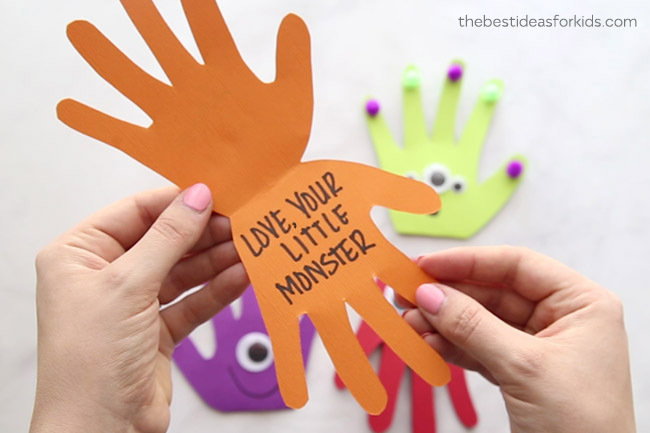 We love the saying, “Love, your Little Monster!”. 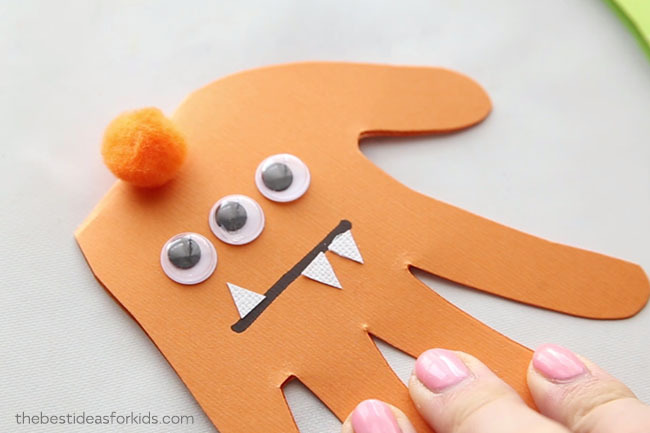 This easy monster craft couldn’t be any simpler! 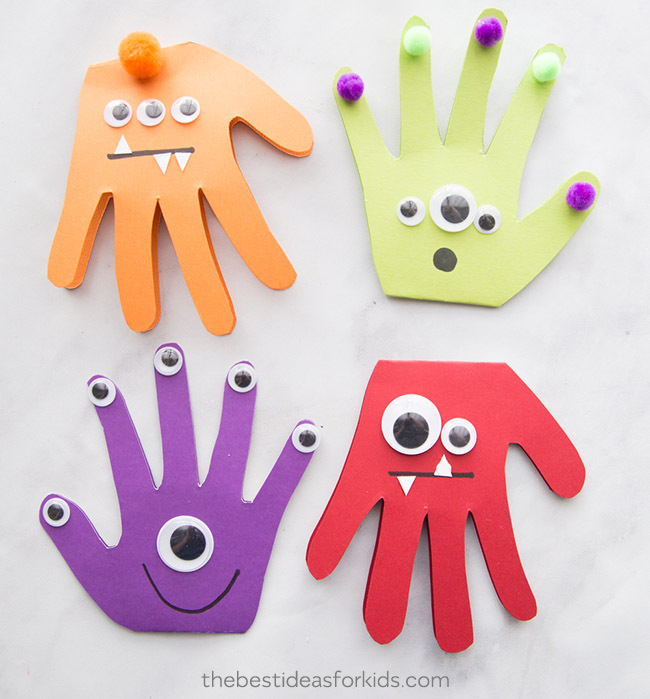 We love how kids can make their own monsters. Just put out the supplies and let them get to work! If you’re looking for a gift to go with these cards, we love the book Love Monster. 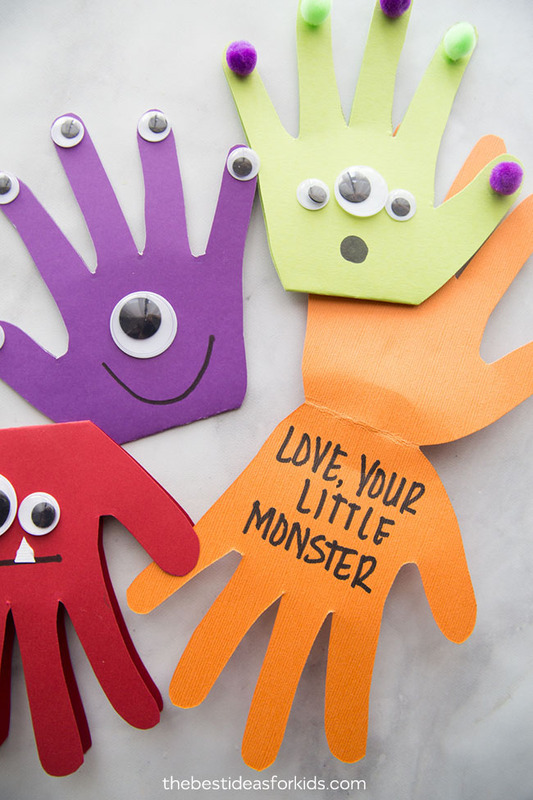 It would make an adorable gift for Dad or Mom to read with their little monster. Also see over 20+ Handmade Father’s Day Ideas.